Make a difference to wildlife conservation in South Africa by participating in conservation initiatives during your safari holiday, or by volunteering. By lending a hand to conservation activities, you become part of protecting South Africa’s wildlife in addition to enjoying an outstanding safari. 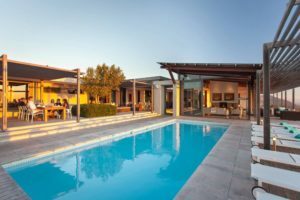 Camp Jabulani, a luxury safari lodge in the Kapama Game Reserve near Hoedspruit, offers a 3-night / 4-day Rhino Conservation Safari as part of its drive to keep the endangered rhino alive. The programme is available to a minimum of 2 and a maximum of 10 guests and entails a comprehensive briefing; followed by darting of a targeted white rhino by helicopter; and subsequent assistance on the ground with administering medication, taking measurements for scientific and medical purposes and monitoring the animal under sedation. Participants will also observe the insertion of a microchip into rhino horn, and perform an ear-notching procedure for future identification. Mail us. 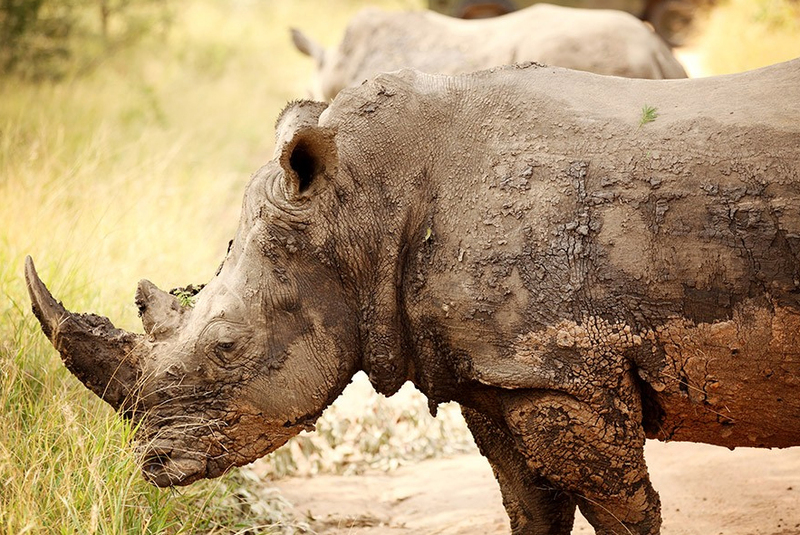 At luxurious Molori, guests can have a hands-on role in rhino tagging. This involves the notching, DNA sampling and microchipping of rhino horns. Guests have the option of participating on the ground with the vet and ecologist, in close proximity to the sedated rhino, or taking part in a rhino search by helicopter. The rhino tagging experience extends from early morning until early afternoon. Mail us. Jaci’s Lodges in Madikwe Game Reserve offers a conservation safari that may include notching and microchipping rhino; collaring lions and buffalo; collecting genetic material to record; tracking and protection of endangered wildlife; branding lions; and gathering information about lion, rhino and wild dog. Mail us. 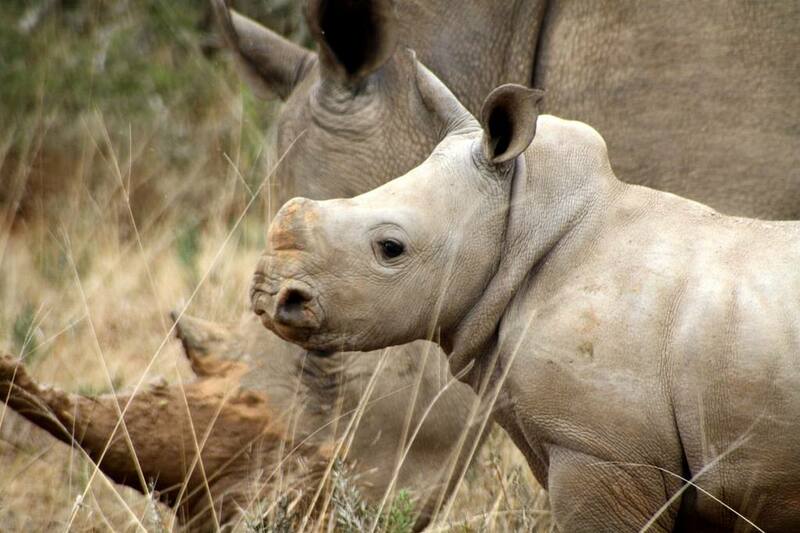 Kwandwe Private Game Reserve is a provider of luxury safaris in Eastern Cape, and also offers a Rhino Conservation Safari of 3 nights / 4 days, involving participation in rhino darting and notching. The programme is available year-round, but the best time for it is May – September when the weather is cooler. Mail us. In Gondwana Game Reserve in the Mossel bay area of the Garden Route, Gondwana Tented Eco Camp is a rustic base from which to participate in a 5 night conservation experience. Participants will be involved in wildlife and veld management, learn important bush skills and interpretation. The itinerary also includes game drives, bush walks, and leisure time in the reserve. Mail us. 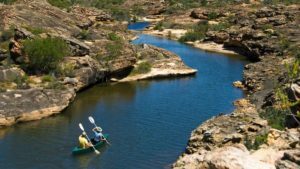 In the Karoo, Samara Private Game Reserve is passionate about conservation and runs a Conservation Volunteer Programme from June – August. 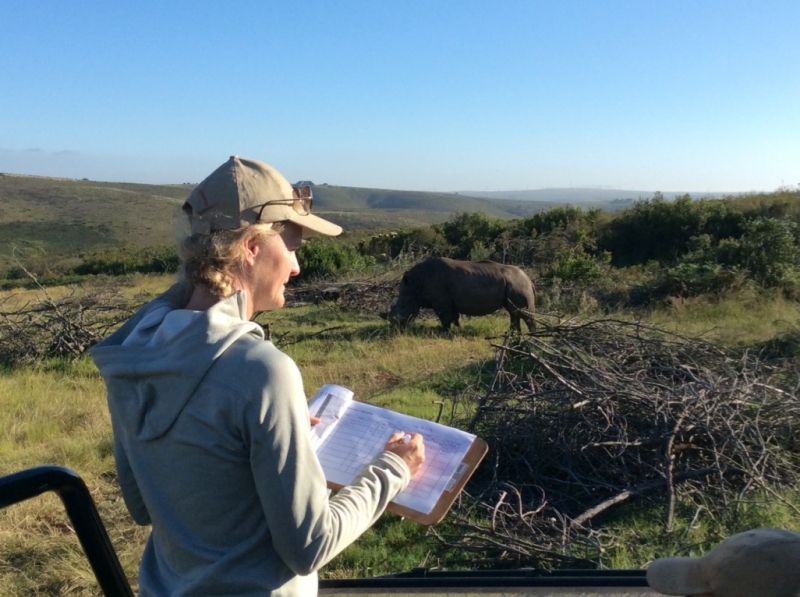 Volunteers at Samara are privileged to work in a unique wilderness area, becoming involved with cheetah monitoring; land rehabilitation; control of vegetation; vervet monkey research; monitoring of Cape Mountain Zebra and rhino; and community outreach. More Info. 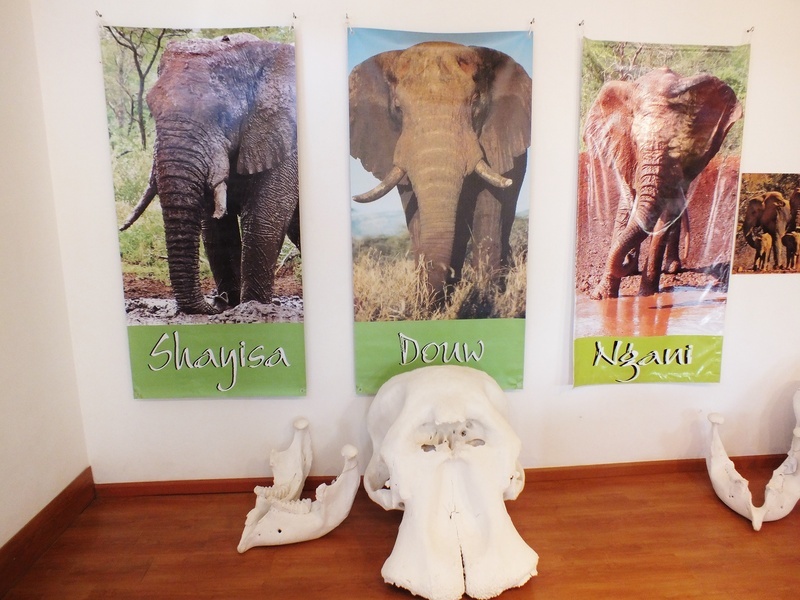 Committed to conservation, White Elephant Safari Lodge in Pongola allows guests to get involved in some of its conservation activities. Gain insight into White Elephant’s elephant research during unique “elephanting” activities which include time at the research centre with an expert elephant researcher and an excursion lasting about 3 hours. Through your participation in this activity, a contribution is made to the Space for Elephants Foundation. Mail us. Conservation safaris need to be pre-arranged. They are subject to availability and are usually at additional cost to the normal safari rate. Mail us or call +27 21 797 7122 (international) or 0860 102 907 (local) to speak to a consultant.